Last weekend, we had to make an emergency run to the liquor store to replenish our gin stash! I can’t believe we actually allowed ourselves to run out completely and I have to admit, I was a little panicked about it! Off we went to the store with the intent to replace our old standbys–Hayman’s Old Tom Gin, Hendricks and Plymouth; but, what we left with was a new discovery: Citadelle Gin. 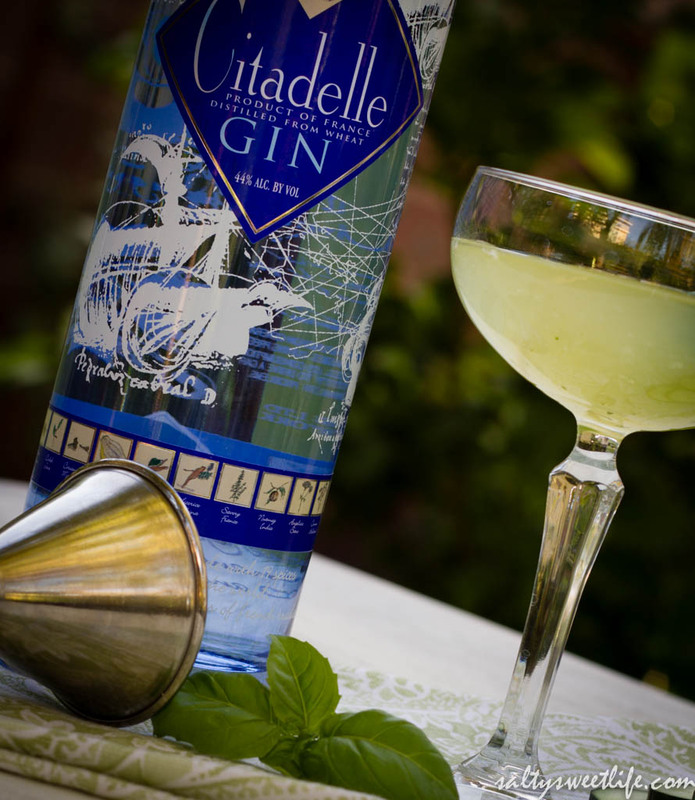 Citadelle is a French Gin and like my favorite Hendrick’s, it is both floral and herbal and very smooth! 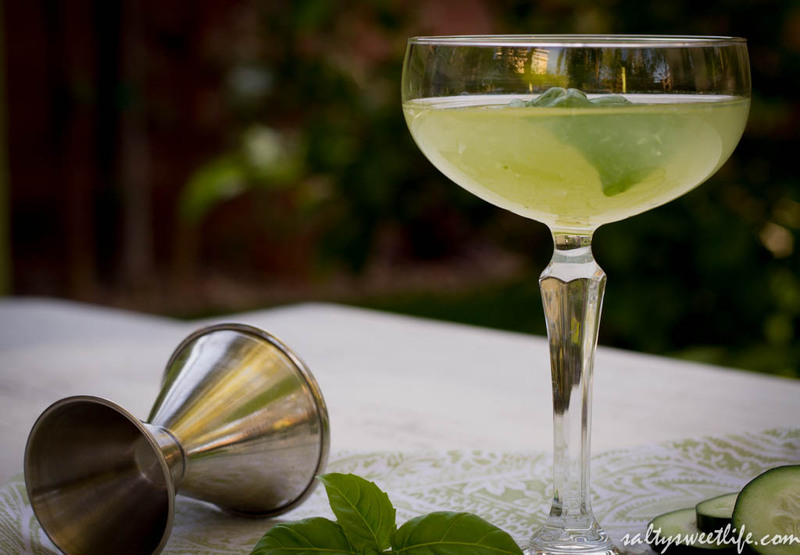 The inspiration for this drink came from a sake-based cucumber-basil martini that I enjoyed just recently at a sushi restaurant. I didn’t have any sake at home, but I knew that the flavors would be perfect with the botanical notes in the Citadelle gin! The weather is getting warmer, so you must put this drink in your spring and summer cocktail arsenal! It is light, refreshing, herbaceous and so delicious! Perfect for a garden party! Muddle 3 thick slices of cucumber and the basil in a cocktail shaker. Add the simple syrup, lemon juice and gin and fill the shaker with ice. Shake and strain into a chilled martini or coupe glass. Garnish with a lemon twist and a fresh basil leaf. Thank you so much! It was really delicious! I hope you try it! Thank you! I am a big fan of gin because is goes so well with fresh herbs! I hope you try it and like it! Have a great weekend as well! Ooh, wishing I was sipping one of these right now! 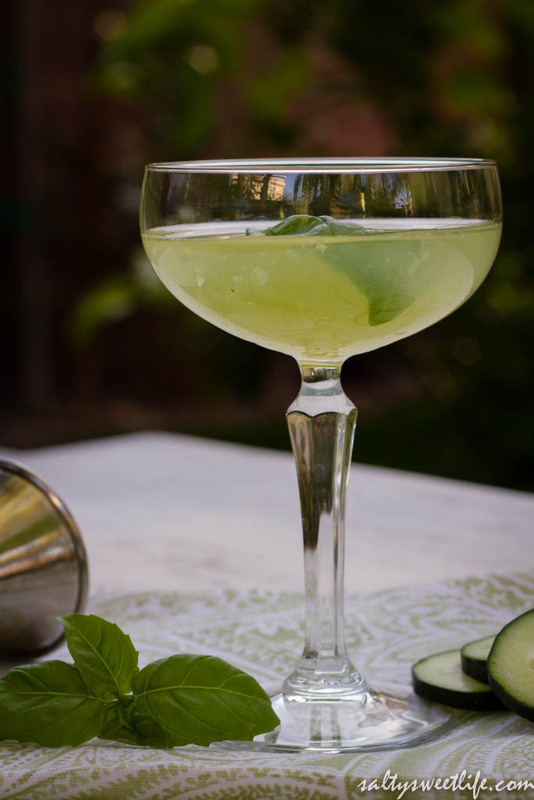 Cucumber-basil is such a great flavor combination, especially in a cocktail. Perfect for the warm days ahead! Great one, Tracey – enjoy your weekend! Gin and lemon goes together perfectly in most my concoctions. I’ll have to find some herbal Gin and try it with basil now! Looks great! Things I am making tonight = this! It will be the perfect cocktail for me to have in hand when I reclaim my backyard from the urban wildlife for some evening garden cocktails.